Comment: a patio was installed and I am very disappointed in how it looks. I would like someone to see what needs to be taken apart and fixed . Comment: I would like to get an estimate for lifting settled foundation. Comment: I am needing a new driveway, it is currently asphalt, very steap and not enough space near the home. It needs to be reconfigured and probably resloped and made wider or possibly into a circle drive. I am getting estimates for a new concrete drive. Comment: There is no outside access to basement. Need to dig hole, cut out through concrete wall, install precast or build in place basement stairs, add bulkhead and inside locking door. Comment: 20 by 40 pool. Pool deck 10 feet around whole pool. 6 inch think 30 yards of concrete. Harwich Concrete Contractors are rated 4.72 out of 5 based on 663 reviews of 25 pros. 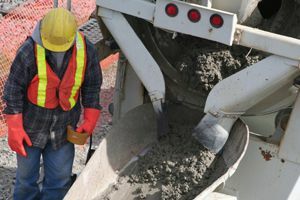 Not Looking for Concrete Contractors in Harwich, MA?